Dive into "Thailand Dreams", the paradise of the Phi Phi Islands in Pileh Lagoon, Thailand. 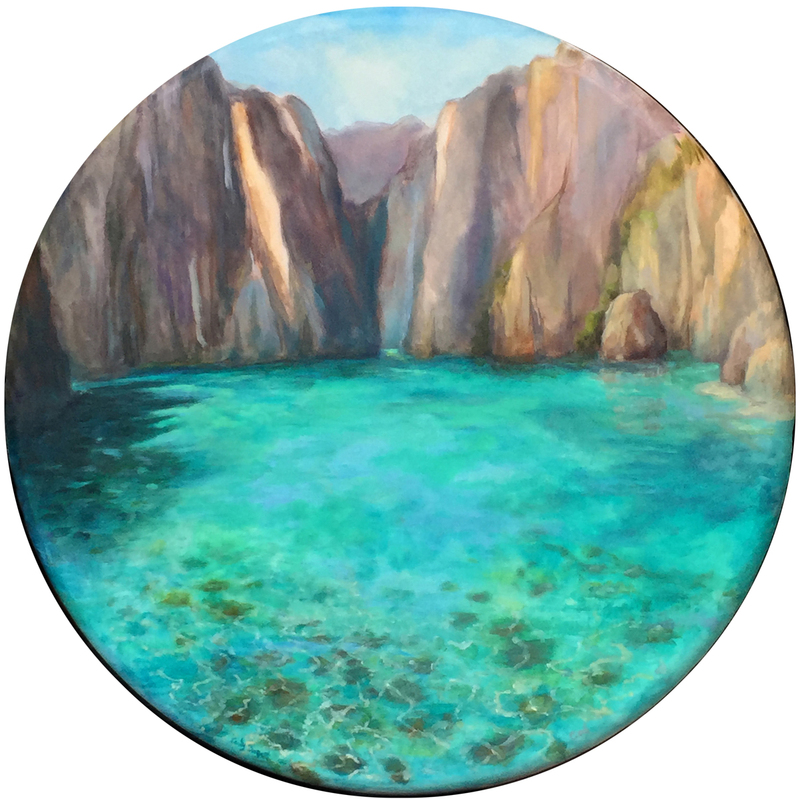 Measuring 36"x36", this is a unique round canvas with beveled edges. The brilliant turquoise glows with deep color, the result of numerous layers of paint. This is one of two paintings that will be given away at the KHYF Fundraiser for Micky Munns & Michael Fineman at KHYC on February 11, 2018.